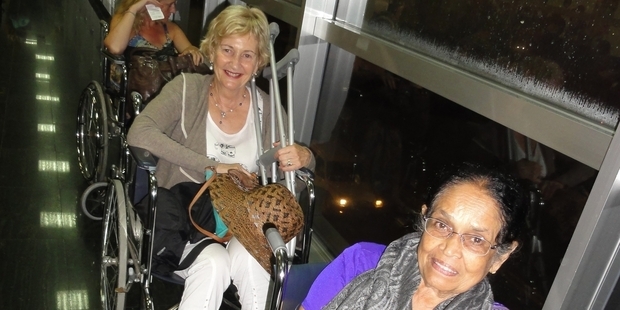 Carroll du Chateau’s enjoyable tour of Sri Lanka takes an unexpected medical detour. It was the cobweb that worried me. Grey, dusty and long, it floated in the air-conditioned breeze of my private hospital room. Half an hour earlier I’d assured Visa’s crisp-sounding travel insurance assessor, and their medical expert, that yes, Kandy Hospital, in deepest Sri Lanka, was an excellent medical provider, eminently capable of delivering a general anaesthetic and stitching up my gashed leg. The alternative, which was driving back to Colombo, the capital of Sri Lanka, or even worse, flying to Singapore, was not attractive. It would mean several days out of our tour which I was enjoying mightily. And yes, I had been impressed with Kandy Hospital and its smiling nurses in their spotless white uniforms and matching starched hats, secured with bobby pins, who treated me like a movie star. First I was whisked into a wheelchair, then, when they saw the enormous bandage on my leg, hoisted on to a trolley. Two tiny nurses, caps intact, then hurtled me around the polished corridors of the prefab-style hospital, then jammed me in a lift where my head seemed to be pushed under a ledge. “Help!” I yelped. At which the smaller and wirier of the nurses steered me out and pushed me almost single-handed up a couple of ramps. Only later did I realise that I had been in a lift that’d been specially modified (meaning part of the wall cut out) so they could transfer stretcher patients to the upper floors. Then we sailed past old ladies, beautiful sari-clad mothers with sick children, straight into the consultant’s office. He took one look at my leg and prescribed an overnight stay and general anaesthetic. “Surely not?” I queried, but as he explained the cut was deep, going right to the bone. It would also need thorough cleaning. The muscles would have to be reassembled and laid back together. We never gave a thought to something like this happening when Brian organised our travel insurance. I’d only vaguely remembered that medical insurance comes free when you pay for your tickets on your ASB Gold Visa card. Luckily Brian, the diligent, figured it out when doing research. All it took was a visit to our local ASB to pick up a brochure, which he read, proof that we’d paid for the trip on the Visa card and that was it. Coverage was extensive and underwritten by Tower. “Great,” we thought at the time, “that’s one cost we don’t have to pay for.” Now, in the thick of disaster, it was a godsend. From the beginning, our AsiaQuest tour manager, Ashwani Bali, had taken care of everything. First, he didn’t berate me for falling down those highly polished tiled steps of our hilltop hotel. Like almost every other four- and five-star hotels we stayed in, this one was being renovated for the deluge of tourists Sri Lanka’s expecting, now its 30-year war is over. Second, Ash saw immediately we were in serious trouble: the gash running from my ankle to halfway up my shin was deep and messy. He called for his enormous blue bag of first aid equipment, then he expertly staunched the blood and bandaged my leg. Suddenly, I felt much better. Next he asked Brian to find our insurance details and called Visa. Ten minutes later we were on our way to hospital. The consultant appeared, diagnosis was made, treatment decided. Only when someone (me) had to make a decision about the Kandy Hospital’s ability to carry out a general anaesthetic, did I have to even take a call from Visa’s medical experts. The next day Ash arranged for a taxi to take me back to our hotel. I wanted to stay on tour, which according to Ash was the only time one of his clients had been so intrepid. “They always want to fly straight home.” But then AsiaQuest is an Australian-based tour company. For me it was a no-brainer. Sure, I needed one day off, even if I missed the elephant orphanage, after which much of the next few days included long bus trips to the tea plantations of inner Sri Lanka. All I had to do was keep the leg elevated, which catapulted us to the front seat on the bus where I sat in royal splendour, resting my leg on the chilly bin containing our supply of water bottles. And so it went. No infections, no hassles. Our amazing bus assistant, Kieltey, who was shorter than me and looked (I thought) every bit as old, insisted on carrying me, like a baby, on and off the bus. “You remind me of my mother,” he said, depositing me at the next stop, where, invariably Ash had organised a tuktuk to take me up the hill. Hours after my operation, when I woke to find another tour employee sitting with me, (guarding me) I asked him if he could see the dangling cobweb. He smiled indulgently: “It’s the mosquito net”. Sure enough, it was immediately obvious: my “cobweb” was the other tie for the net which was hitched up to the ceiling, presumably to use when they turn off the aircon and open the window for luckless local patients. My instincts had been right all along: Kandy Hospital was indeed up to the job. And the bill for all of that: the general anaesthetic, the immaculate surgery that has left me with the faintest scar, the nursing, the private room, the follow-up appointment at seven the next morning (so the tour could get away on time) the whopping antibiotics that I had to swallow four times a day for the next 10 days, the extra bandages and dressings, bank charges, everything? $1120. Getting there: Singapore Airlines flies from Auckland to Colombo via its hub in Singapore. Details: The Ministry of Foreign Affairs and Trade offers travel insurance advice on its Safe Travel website. 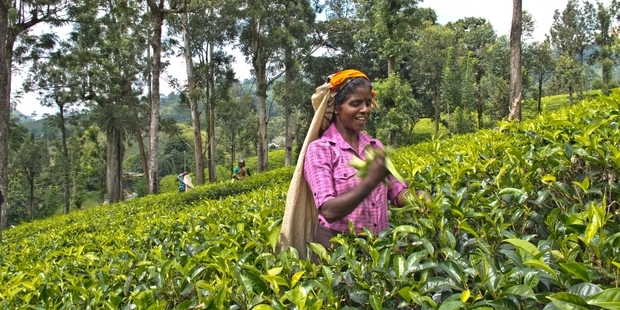 Sri Lanka’s ‘Best Tea’ and its forgotten 4.2 % Tamils living with NO ID.